Only two more days until Christmas!!! In case you are still doing some last minute shopping, I think gift cards are a great option. 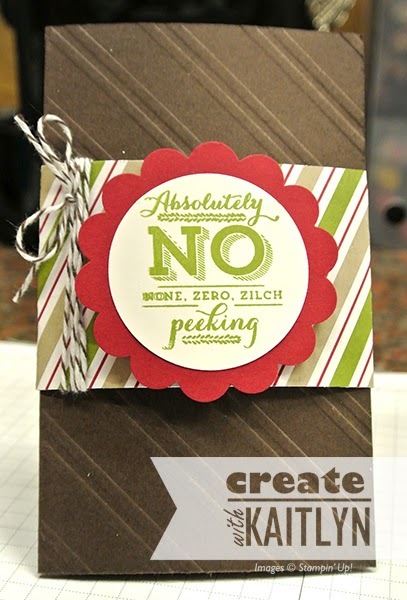 However, you must make a cute gift card holder to make it extra special! I have a gift card holder to share with you today that uses the Envelope Liner Framelits (I have shared several other gift card holders here, here, and here). This is a very simple and quick project to make. 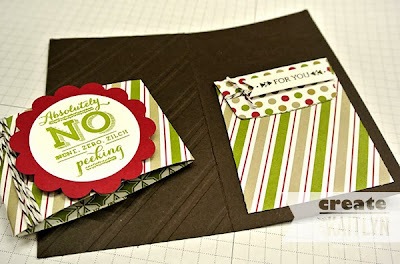 To keep the gift card holder closed I made a belly band out of some Season of Style Designer Series Paper. Then, I embellished it with a stamp from the Christmas Tagables Photopolymer stamp set, some punches, and Early Espresso Baker's Twine. The pocket is made from some DSP cut with the smallest Envelope Liner. Just fold down the top, fold the flaps to the back, and use sticky strip on three of the sides to hold it in place. Super simple!